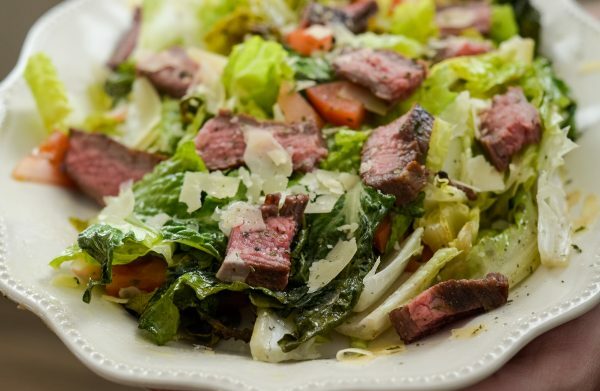 Make a wonderful grilled meal with this Grilled Romaine Salad with Glazed Flank Steak. 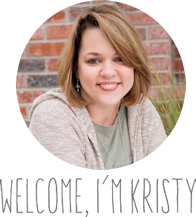 Years ago, I took a cooking class at a local business in town and was introduced to grilled romaine and flank steak. Since that point, my life has never been the same. Who would have thought to grill lettuce? I’m here to tell you that it’s AMAZING. We literally cook nearly everything from spring through summer and into fall on the grill, this includes salad. 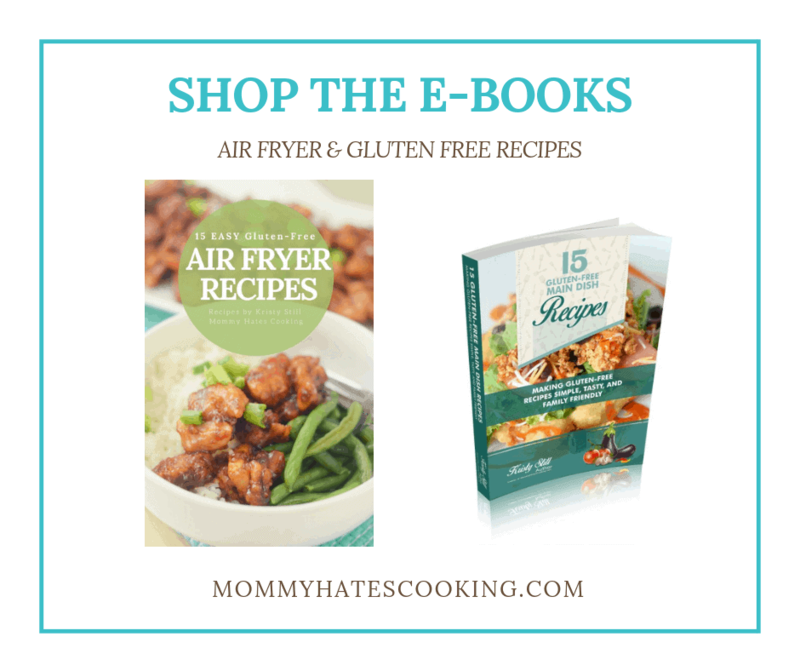 How do you grill romaine lettuce? The first thing you will want to do is cut the romaine in half lengthwise. Once it’s cut in half add a nice spray of Olive Oil. I like to use a spray bottle of olive oil to do this, it’s easy to get it on evenly. Once you have some olive oil on it, sprinkle a dash of garlic salt. 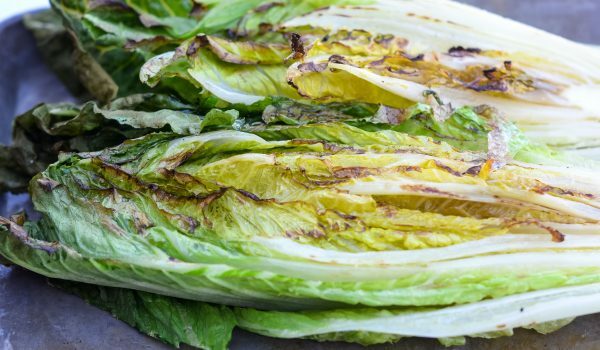 Warm up the grill to medium-high heat and place the romaine lettuce cut side down for just about 3-5 minutes. The key here is to get those great grilled lines on the lettuce. The lettuce will be a nice smoked, charred taste. 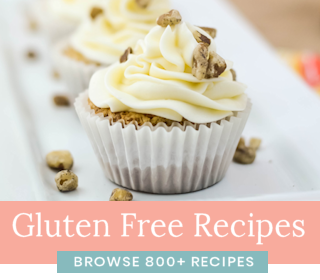 It’s completely delicious paired with a great topping like grilled flank steak. 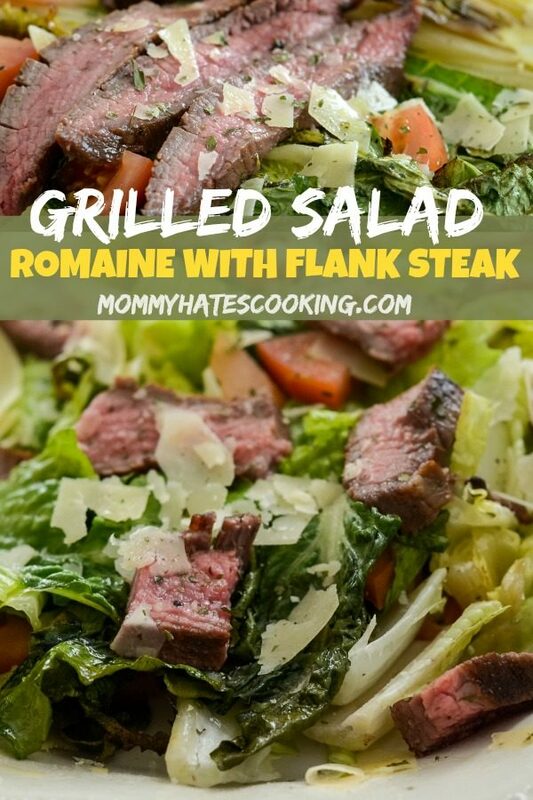 What type of steak should you use for Grilled Romaine Salad? I picked up a great cut of flank steak from Certified Angus Beef ® brand at my local Reasor’s. This is my go-to cut of choice when it comes to steak topped salads. 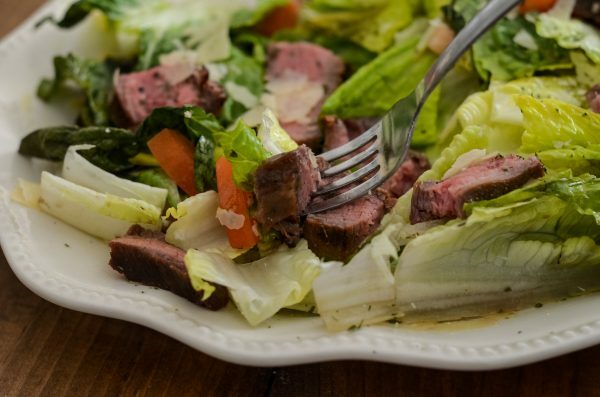 It’s a great meaty flavor that really compliments all of the flavors from the salad. 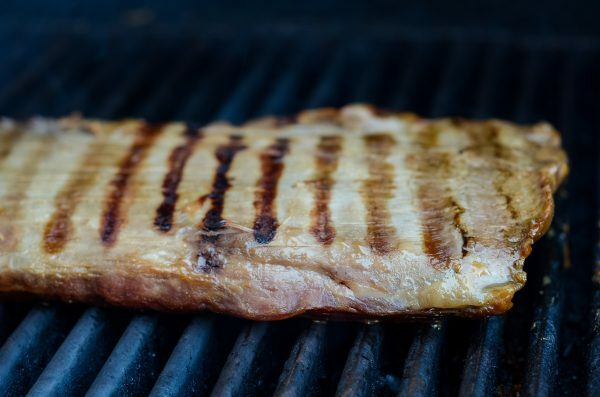 How long can you marinate Grilled Flank Steak? Now to make the flank steak, I decided to adapt my marinade for these Glazed Chicken Thighs. I prefer to let this marinate overnight, so at least 12 hours. I find it really soaks in the flavor the longer it sits in the marinade. 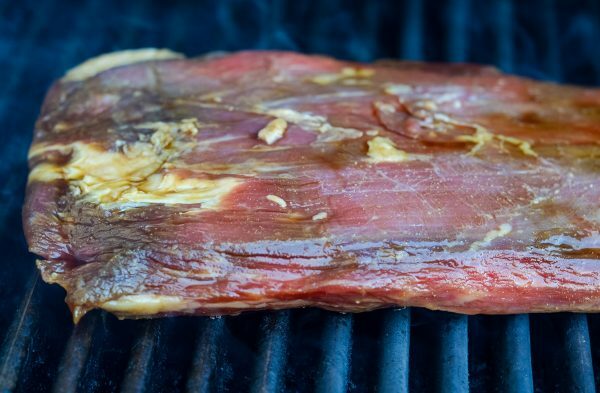 How long should you cook Grilled Flank Steak? 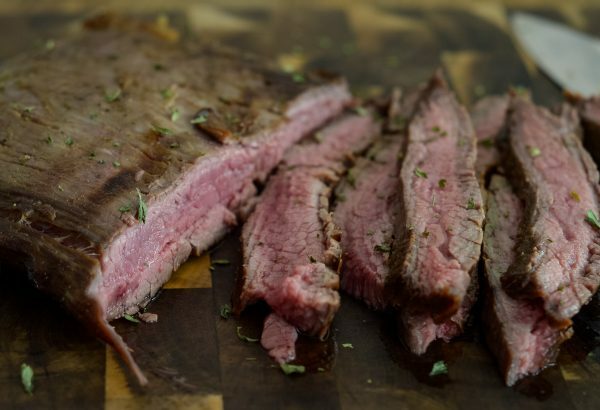 Flank Steak is more full of muscle than many other cuts of steak. This means it’s very important to cut flank steak against the grain. Not only is it important to cut it against the grain, but Flank Steak is also best cooked to a medium-rare. That means that there will be a red to pink color inside. This generally means that you should cook it on a high heat grill for 3-5 minutes on each side. When cooking flank steak, I try to get to an internal temperature of about 140 degrees. 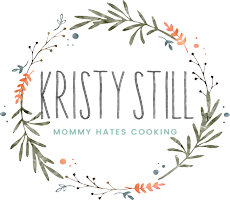 Flank Steak is one that my husband has a hard time eating because he likes his meat to be VERY well done; however, with Flank Steak it truly is the best when cooked medium-rare. 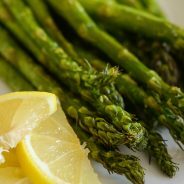 It’s also best to cut it in thin slices, which is why it makes for a great topping to a Grilled Romaine Salad. 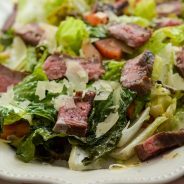 This salad can be served in a variety of ways, I like to place the romaine on a plate and add the toppings along with the Flank Steak. Once I have it built, I cut it up into smaller pieces to make it easy to serve. 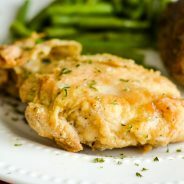 It can all be on one large plate for guests to simply take a portion of it. 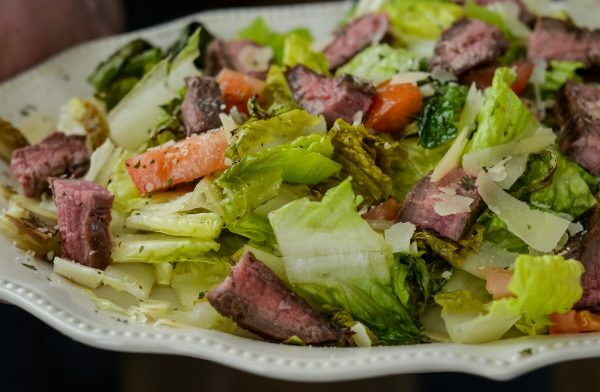 Remember too that there is really no need for any additional dressing because the olive oil adds the flavor to the romaine; however, a nice caesar vinaigrette is a great choice if you prefer more dressing. 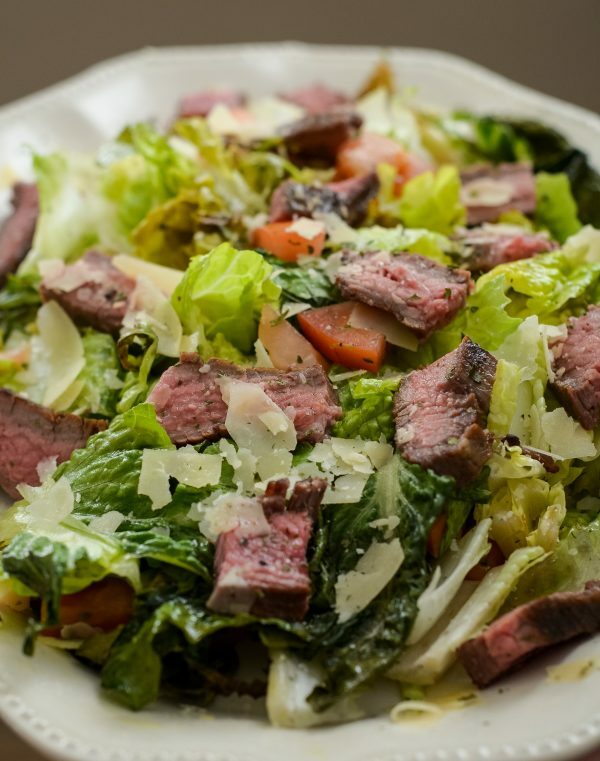 What do you need for Grilled Romaine Salad with Glazed Flank Steak? 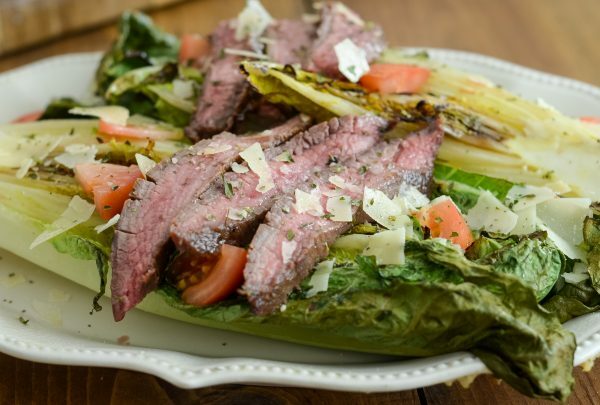 Now it’s time to enjoy a treat tonight with this Grilled Romaine Salad with Glazed Flank Steak! 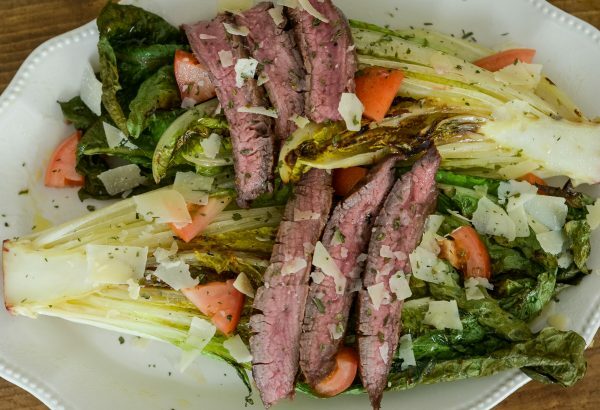 Grilled Romaine Salad with Glazed Flank Steak is a wonderful meal to eat outdoors and serve with grilled flank steak. At least 12 hours before cooking, combine the soy sauce, Worcestershire sauce, brown sugar, ginger, and garlic in a small dish. Whisk this well to form the marinade. Place the steak either in a sealable bag or in a baking dish and pour the marinade evenly over the steak. Place the steak in the fridge for 12 hours to let the marinade soak in, rotating it occasionally to make sure it is evenly coated. Once ready to cook, warm the grill to medium-high heat. Cut the romaine hearts in half lengthwise. Add an even coat of olive oil spray to each half and a dash of garlic salt. Set aside. Place the steak on the grill for 3-5 minutes on each side. The internal temperature needs to be at about 135-140 degrees. In the final 5 minutes of grilling, place the romaine cut side down on the grill. Let this cook for about 5 minutes until it's nicely charred. Once the steak and romaine are done, remove. Let the steak rest for 10 minutes. Cut the steak in thin slices against the grain. 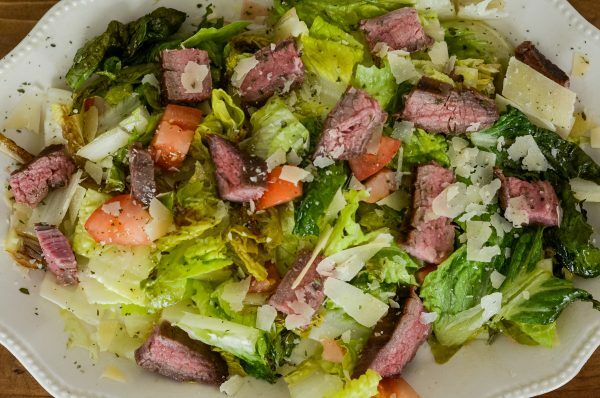 Build the salad, topping the romaine with steak, tomatoes, and cheese. Cut up into a serving size or serve whole.